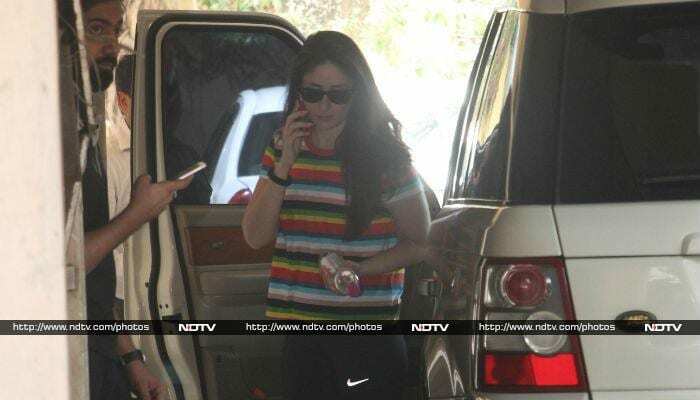 It was a busy day for Kareena Kapoor, as she was spotted at several locations across Mumbai on Monday. 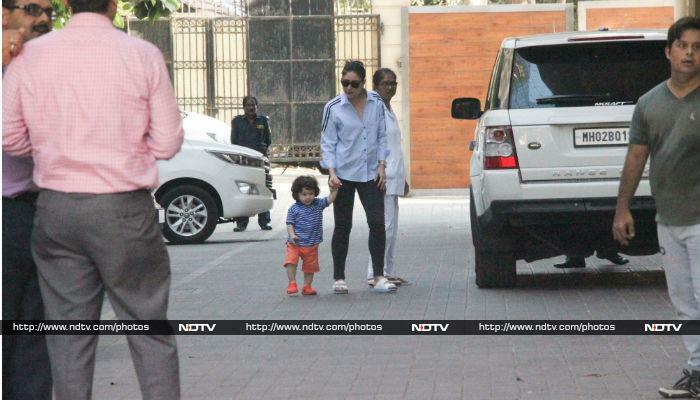 Kareena Kapoor took some time out for son Taimur and both were spotted outside Amrita Arora's apartment. She is a regular at the gym and seldom misses her sessions. She was spotted outside her gym in Bandra. Kangana Ranaut slayed her red carpet debut at the Cannes Film Festival and is now back to pavilion, Mumbai. Post Kangana's Cannes debut, the actress was seen partying in Mumbai on Tuesday. The actress wore a yellow velvet dress and paired it with black boots. Salman Khan's Eid release, Race 3 trailer was released Tuesday and just a day prior, the actor was spotted with Ramesh Taurani at his office. Hrithik Roshan was spotted leaving a hair salon in Juhu. The actor was seen in casual wear and sported a bearded look. Ranveer Singh is excited about the release of Deadpool 2, the Hindi version of which has been dubbed by the actor. Ranveer was spotted at the special screening of the film hosted by him. Aditya Roy Kapoor was spotted with Anurag Basu at a famous eatery in Bandra. Were they discussing a script for new film? Anil Kapoor was spotted outside a famous cafe in Bandra. Anil Kapoor was later spotted with Boney Kapoor outside Krishika Lulla's home in Juhu.